يشكل فندق The Formby Hotel بموقعه الممتاز في قلب هذه المنطقة الرائعة كنقطة انطلاق ممتازة لاستكشاف المدينة. إن موقعه الجيد الذي يبعد فقط عن مركز المدينة يساعد النزلاء على الاستمتاع بمعالم المدينة ونشاطاتها. كما يمكن الوصول بسهولة إلى عدة معالم سياحية قريبة. إن The Formby Hotel حريص على توفير الراحة للنزلاء، فلا يوفر الموظفون جهداً في تقديم أفضل الخدمات وضمان حسن الاستقبال. يمكن الاستمتاع بمجموعة من الخدمات على أعلى المستويات في الفندق كمثل واي فاي في المناطق العامة, صف السيارات, غرفة عائلية, مطعم, مقهى. ادخل إلى واحدة من الغرف 24 وتخلص من عناء نهار طويل بمساعدة مجموعة كبيرة من الخدمات كمثل تلفزيون بشاشة مسطحة, مناشف, اتصال لاسلكي بالإنترنت, اتصال لاسلكي بشبكة الإنترنت (مجاني), مكيف هواء الموجودة في بعض الغرف. كما أن مجموعة الخدمات الواسعة الموجودة في الفندق لضمان راحتك تترك لك الكثير من الخيارات لقضاء وقتك أثناء فترة إقامتك. مهما كانت أسبابك لزيارة المدينة، فإن The Formby Hotel هو الخيار الأفضل لإقامة مثيرة وممتعة. كل الغرف غير مسموح بالتدخين فيها. غير مسموح بوجود حيوانات أليفة. يرجى العلم أن غرف الفندق تقع فوق البار وصالة القمار وأماكن تناول الطعام. Right opposite the ferry and right in town. Free parking behind the hotel. The rooms are nice and clean. The location is quite good. Historic atmosphere. They have a pub downstairs with live music till 2am.. Very noisy with lots of drunken people everywhere.. If someone looking for comfortable stay better to look for something else..
For $99, can't go wrong. Only thing was that our room was above the club, so was fairly noisy. A warning, from staff would have been nice. The food at the restaurant was very good. And only 5 minutes from the Spirit docking area, can't go wrong. Cool bar Live music is great and great pub meals and coffee is good too. Suggest booking a room only if you plan to pass out drunk. Very very loud till all hours of the morning. This place is located very close to the Spirit of Tasmania ferry terminal. We stayed here on the night on our arrival & again for a couple of nights before our departure. 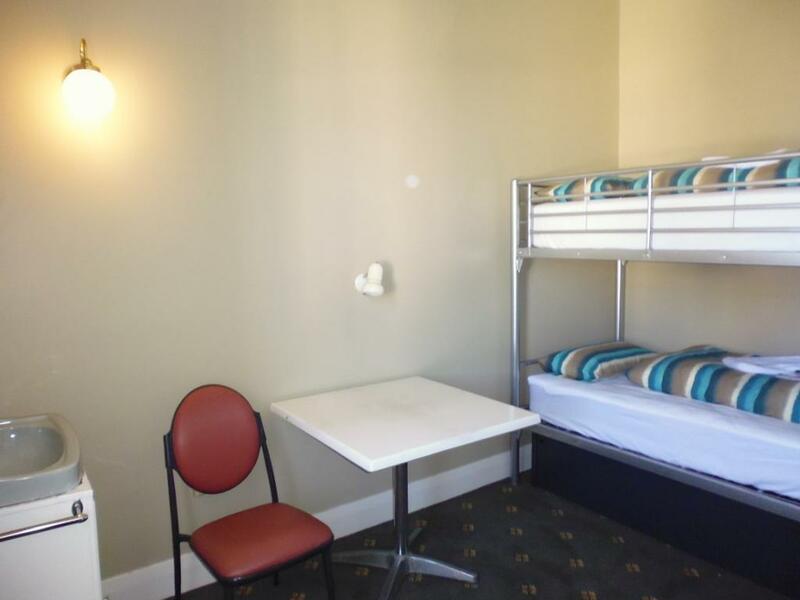 The rooms were presented in a neat & clean condition & aircon worked well! There was enough room to setup the portacot for the bub as well. It is close to shops & restaurants & there is a common room with microwave & fridge to store your things. Would have given 5 stars if not for the crappy Wi-Fi reception & the lack of lifts (annoying when you need to carry a lot of toddler stuff up the stairs).Would stay again. I stayed in a queen room and it was very clean and neat - better than I thought it would be! We didn't spend too much in this hotel and area but its walking distance to shopping district and right next to water - would have been very nice to walk along the park in the morning if we had time. Before departing with Spirit of Tasmania in the morning it was perfect stay in this hotel. PS. no shampoo is provided in the room so if you are woman wanting to wash your hair good bring your own shampoo.. :) they provide soap though. Good location, Staff member Nella was friendly and helpful whilst checking people in and managing the gaming room counter. I had a Superior Queen room which was clean and satisfactory for the price. Now for the "but". As previous reviewers have mentioned It is noisy. I was there on a Saturday night and as one would expect it was very noisy in the bar/lounge areas. I had read this prior to going so was prepared but if your not and your a light sleeper then don't expect to get any sleep until about 2.00am. The "hotel" has no reception - I had to walk to the restaurant's bar and asked if I was at the right location. There is no lift to the rooms - which made it difficult as I was travelling with a big suitcase, and I had to carry them all the way up to my room - carpet was old and smelly, small bed with weird set up of the sink (located right under the TV and facing my bed) - and worst of all - no toiletries were provided - I had to use the soap bar to clean myself and wash my hair! Absolutely not impressed! Nice Hotel, well located. Food was good, rooms were clean. Thoroughly enjoyed the friendliness and convenience so close to concert venue we attended. 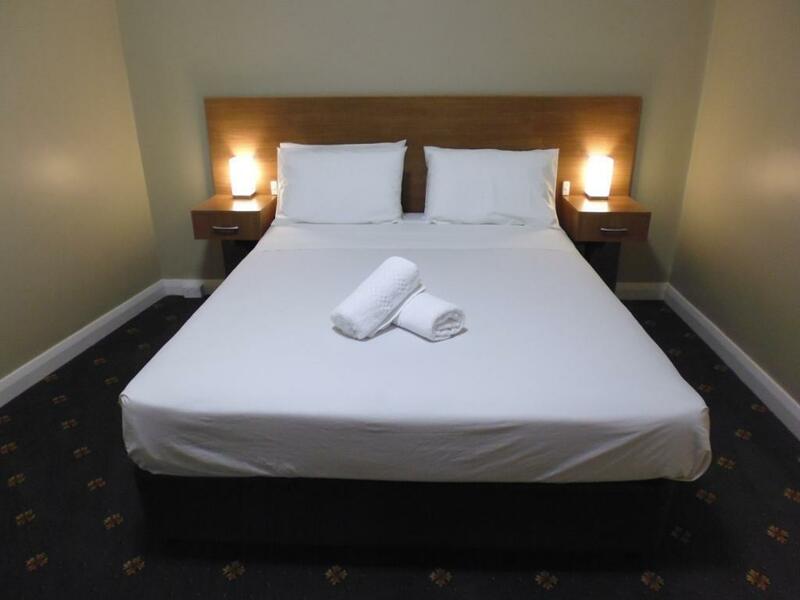 Staff were friendly and helpful, room was very good. The bed was VERY VERY COMFORTABLE. This is not a complaint, but could do with double glazed windows as street traffic is very close, but certainly don't expect this for the star rating and price, in fact could be rated a star higher. Thanks. 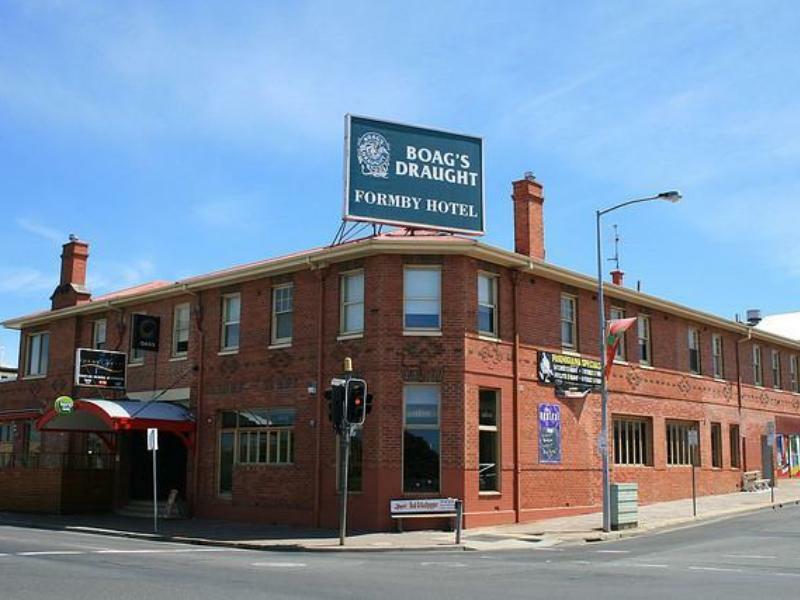 The Formby Hotel is located on the river, just opposite the ferry terminal. It is about a 6-8 minute drive to the terminal. The room is a generous size and the bed was very comfortable. All facilities were clean and well maintained. I did not eat at the bistro or the "casual dining" area, but both looked fine. Recommended. Great stay the staff looked after us after the Spirit was very late, we stayed again on our return. The 36 hour lamb was fantastic!